(Mar. 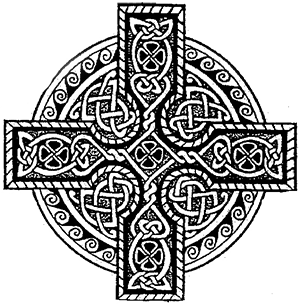 25, 2016)—Americans expect and our laws require that our top law enforcement officer--the Director of the Federal Bureau of Investigation (FBI)—be above reproach and vigorously prosecute wrongdoers. For new readers, the “Cartel” is a group of about 200 bankers, lawyers, politicians, bureaucrats, technologists and judges, both Republicans and Democrats, who are deeply invested in one another through relationships, stocks and mutual funds. This group is currently attempting to seize control of global information data flow. Their agenda is defined by A New World Order doctrine. Fig. 2—Judge Merrick B. Garland, Chief Judge, D.C. Circuit Court of Appeals (1995-current); Merrick's holdings increase from $3.5 up to $19.1 between 1995-2012. Robert S. Mueller worked at the Justice Department during this time, and as director for all but 5 years of Garland's disclosure period. Former FBI director Robert S. Mueller’s was a sponsor of Supreme Court nominee, Merrick B. Garland, during Garland's first Senate confirmation hearing for D.C. circuit judge in 1995—a formative year for the current NSA spy state and IBM’s “The Internet of Things.” Mueller led the FBI under George Bush and Barack Obama for 12 years from Sep. 4, 2001 to Sep. 4, 2013. “We must tell the truth and let the facts speak for themselves. The truth is what we expect in our investigations of others, and the truth is what we must demand of ourselves when we come under scrutiny." Robert S. Mueller Senate Confirmation, Jul. 30, 2001, page 26. Sadly, Mueller often did the opposite. After Virginia law school in 1973, Mueller worked for various U.S. Attorneys before becoming one himself in 1998. These long stretches with the U.S. Justice Department were interspersed with stints in the law firms Hill & Barlow LLP (Boston) and Hale & Dorr LLP (Washington). He focused on financial fraud, terrorism, money laundering and public corruption—a set of skills he appears to have leveraged for himself and his friends. 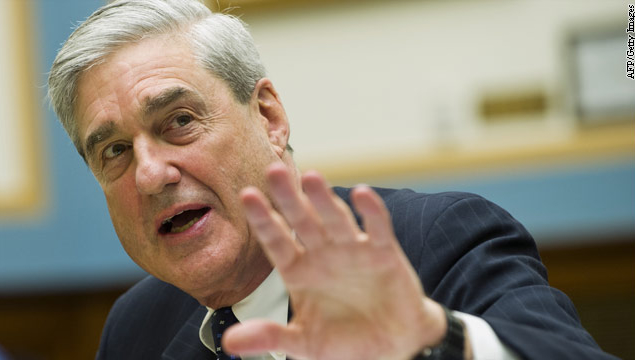 In our opinion, the knowledge Mueller gained about beating the system has been turned on the American people and unleashed a lawless FBI during Mueller's tenure as FBI director. We will name the ways. America has been here before. Our first FBI Director, G. Edgar Hoover, used dirt on political targets to maintain his power for 42 years. Hoover proclaimed famously: “Justice is incidental to law and order.” It appears that Robert Mueller agrees. Separation of powers as a principle breaks down when those powers collude, especially our chief law enforcement officers at the FBI. Dramatic changes in America have occurred on Mueller’s watch. He was either incompetent or complicit. QUESTION: Did Mueller miss all this fraud incompetently, or was he in on it? CONCLUSION: Mueller was a participant who was cared for by the Cartel ringleaders. Between 2001 and 2011, Mueller’s holdings exploded four-fold, from 41 to 178 entries. This begs the obvious question how a public servant can get so rich on the job. In our experience, officials often bury dubious transactions in long lists of small transactions. It discourages the unsuspecting public from taking the time to figure out what they are doing. Mueller’s 2011 disclosure exhibits that pattern. In the ten years between 2001 and 2011, Mueller’s net worth grew from $1.8 million (hard number) in 2001 to approximately $7 million in 2011 (soft number). The 2001 number is a hard number since Mueller submitted a complete financial statement to the Senate for his 2001 confirmation hearing. However, for 2011 he submitted only investing ranges. Please recall that the stock market collapsed during this period (2001-2011) and the assets of most investors DECLINED significantly. However, Mueller's assets increased up to $7.0 million. Researchers believe Mueller's 2011 numbers are probably much higher due to dubious hedge fund entries and, unless he lives under a bridge, missing real estate disclosures. Fig. 3—America's "Great Unwashed" create all real wealth, yet the Top 1%-ers control half of the world's wealth. The wealth of just 80 billionaires has doubled since 2009. Robert Meuller clearly BETRAYED the average American. 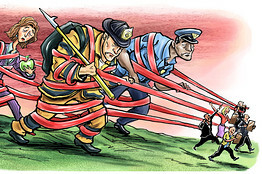 Graphic: WSJ. Average Americans cannot participate in hedge funds because the minimum investments, typically between $100,000 and $10,000,000, are unachievable. Therefore, hedge funds are the exclusive playground of the 1%-ers, normally. However, the 1%-ers let Mueller play. AFI investigators focused on the Mellon Optima fund for the moment. It is damning enough. Fig. 4—Robert S. Mueller's OGE Form 278 Financial Disclosure for 2011 showing an up to $250,000 holding in an exclusive hedge fund of hedge funds unique to him in the Bush and Obama Administrations, to our knowledge. 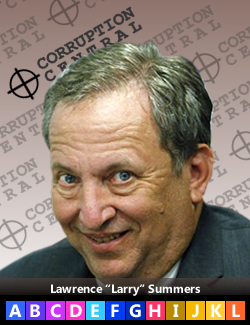 In short, the Mellon Optima fund appears to be another misguided scheme of Lawrence H. Summers. New readers should know that Summers is a central figure in the Cartel. AFI has written extensively on Summers, so we will not repeat it here. See Hijack of the Cyberworld Timeline starting at 1990; See also Briefing for Representative Jim Jordan (OH) – House Oversight Committee - American and Russian Opportunists Undermining U.S. 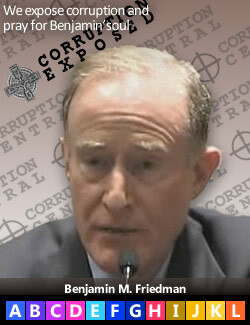 Sovereignty and Corrupting U.S. Financial and Judicial Systems, Oct. 19, 2012. Mueller’s two hedge funds are intertwined. The first glaring ethical problem is the lack of disclosure of the activity inside these funds. These funds are "closed" limited liability companies whose carefully selected members actively participate in the management of their funds and benefit directly from the financial returns. They receive quarterly allocations of profits and losses to their capital accounts for which they must pay taxes. "An investment in the Fund enables Investors to invest with Investment Managers whose services generally are not available to the investing public, whose investment funds may be closed from time to time to new investors or who otherwise may place stringent restrictions on the number and type of person whose money they will manage." (Emphasis added). Said less kindly: the great unwashed American public need not apply. "Investors in the Fund have no individual right to receive information about the Investment Funds or the Investment Managers, will not be investors in the Investment Funds and will have no rights with respect to or standing or recourse against the Investment Funds, Investment Managers or an any of their affiliates." Huh? They're saying give us your tens of millions of dollars but don't ask what's in the box you are buying. Wow. 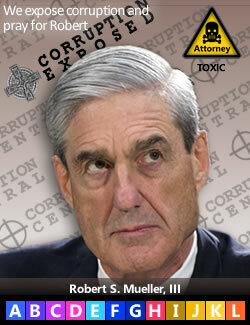 Why would Robert S. Mueller, America's chief law enforcement officer, invest up to $250,000 in Mellon Optima? What does he know about these fund managers that he is not disclosing the public? The whole point of financial disclosure laws is to be transparent. FBI Director Mueller hides this information. Another conflict of interest is that Mueller's former law firm, Hale & Dorr LLP, is corporate counsel to Mellon Optima. This is yet more evidence of funny business. From its 2004 inception, one of Mellon Optima's directors has been Benjamin M. Friedman, a Harvard political economy professor. Friedman led Lawrence H. Summers' PhD dissertation committee. For one year starting in 2008, Mellon Optima's Chairman, President and CEO was J. (John) David Officer. J. David Officer was also executive vice president of Bank of New York (BNY) and vice chairman and chief operating officer of Dreyfus Funds. Tellingly, Mueller holds 15 BNY Mellon funds and 11 Dreyfus Funds. Fig. 5—Mellon Optima L/S (long/short) Strategy Fund LLC, N-CSR annual shareholder report filed Jun. 09, 2008 with the U.S. SEC. Identifies long term director, Harvard Professpr and Larry Summers mentor and academic adviser, Benjamin M. Friedman, and BNY / Dreyfus executive, J. David Officer. During the 2008 banking crisis, J. David Officer and BNY engaged in a scheme to defraud custodial customers in undisclosed, fraudulent and misleading foreign exchanges. They were indicted in 2011. U.S. v. BNY Mellon, Case No. 11-cv-6969 (SDNY 2011). This could help explain why J. David Officer was only Chairman, President and CEO at Mellon Optima for one year. AFI covered HSBC Whistleblower Hervé Falciani who blew the lid off of these offshore tax havens where money launderers, arm's dealers, spies and fraudsters sip coffee together. Falciani exposed all of the banks in Mueller's portfolio. Mellon Optima was formed on Dec. 17, 2004—one week after IBM stunned the world by selling its profitable PC Group to the Chinese (Lenovo). Hindsight shows that the purpose of this transaction was to embed spy algorithms into PC hardware and software more easily. See Hijack of the Cyber World Timeline, 2004. That was also one week after IBM Eclipse Foundation recorded in their minutes that they were “unable to locate” the originator of the social networking source code they were distributing (actually it is Columbus, Ohio innovator Leader Technologies) and would therefore have to “re-implement” it. Timeline, Dec. 08, 2004. Also a week earlier, Bill Clinton was paid $125,000 for a Goldman Sachs speech in New York. Goldman Sachs had provided the financing to the Chinese to buy the IBM PC Group. JPMorgan handled the IBM side of this dubious spy state transaction. Cravath Swaine LLP handled the transaction for IBM. Cravath Swaine LLP is where former IBMer and Patent Office director, David J. Kappos, landed after leaving the Patent Office. Before leaving, Kappos ordered an unprecedented third "reexam" of Leader Technologies social networking patent and invalidated it with a secret kangaroo court of IBM and Microsoft insider patent judges, led by Judge Stephen C. Siu. Mellon Optima is invested in 22 hedge funds worth $32.3 billion. Defenders Multi-Strategy is invested in 33 hedge funds worth $73.9 billion. Thirty-six percent (36%) of these fund holdings are offshore, mostly in the Cayman Islands. These funds are exclusive clubs for the 1%-ers where even a one quarter of one percent increase in the value of these two funds distributes $265.5 million to the holders. Mueller's hedge funds are brokered by Citibank, JPMorgan, Morgan Stanley and Goldman Sachs, among others. Mueller held/holds stock directly in JPMorgan, Morgan Stanley, State Street, Bank of America, BNY and Wells Fargo. The other big banks drive Mueller’s other funds, including Barclays, Credit Suisse, UBS, RBS, RBC, Goldman Sachs, HSBC, Merrill, BNP and BNY. Curiously, not a single executive from these banks was ever prosecuted or even investigated by Mueller's FBI. Now we know why. Our chief law enforcement officer was a willing beneficiary of the global scams. Holding funds is not illegal. Failing to disclose conflicts of interest is. Obviously, if Mueller had taken enforcement action against these banks, he would hurt his portfolio. Mueller’s FBI was silent about illegal NSA wiretapping. Mueller's FBI was silent when BNY Mellon took advantage of the international turmoil and manipulated currency markets in 2008 to benefit Mueller's Mellon Optima investment. Mueller’s FBI was silent when his banks again gorged themselves on Obama energy stimulus freebies. Mueller’s FBI was silent while Barack Obama fed Obamacare consulting and software development contracts to Michelle Obama's Princeton classmate, Toni Townes-Whitley, senior vice president, CGI Federal. Mueller’s FBI was silent in 2001-2002 when Mueller’s mentor, James P. Chandler, fed his client Leader Technologies' social networking invention to IBM and IBM's Eclipse Foundation. Release the angels of heaven against these scoundrels and their hounds of hell. 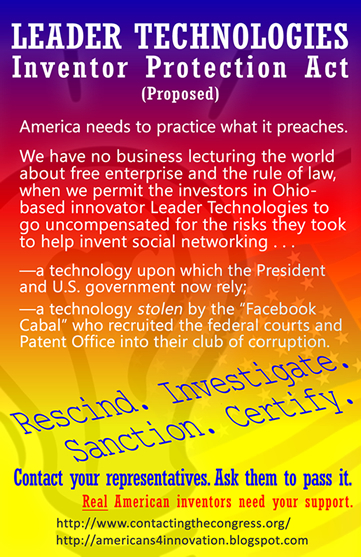 Support Leader Technologies' patent property rights, and the rights of other inventors cheated by the Cartel. Stop allowing the Cartel to abuse our privacy. Boycott Cartel companies. Resist. Demand justice. Demand real transparency and accountability. 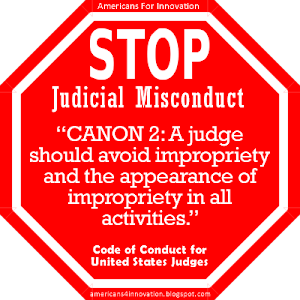 Impeach corrupt judges. Failing that, shame them into disgraced resignation (like Randall R. Rader - the chief judge in the Leader v. Facebook appeal) or following the law. See How judges grow rich on the backs of American inventors. Remove the people who are abusing the powers delegated to them. Be vigilant. Be courageous. Be bold. Don't take "no" for an answer. Table 2—Practical actions that true Americans can carry out to take back the night from "progressive" scoundrels who are living well off the backs of those who create the real wealth. Fig. 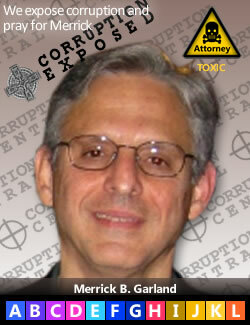 1 – Judge Merrick B. Garland. On Mar. 16, 2016, President Obama nominated Judge Garland to replace the late Justice Antonin Scalia. Investigation so far into Judge Garland's history reveals his intimate relationship with the Washington Cartel who led the secret expansion of NSA surveillance under the Patriot Act snooping provisions. As is well known, this snooping included the illegal bulk surveillance of Americans by the NSA. This legacy should disqualify Garland. In addition, Garland would be another Harvard Law graduate on an already Harvard-stacked court. Judge Garland was appointed to the DC Circuit Court in 1995 by Bill Clinton. 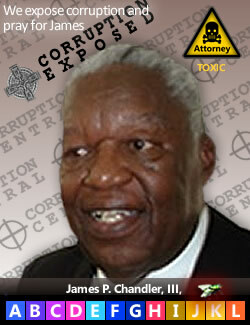 He worked closely with Clinton confidante, James P. Chandler. 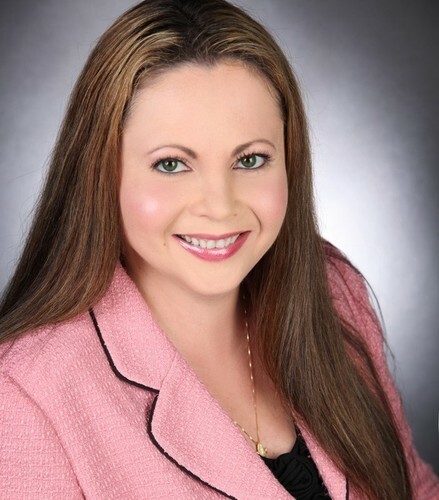 Chandler has been IBM's chief outside counsel, founder of the IBM Eclipse Foundation in 2001, and patent counsel to Columbus, Ohio innovator, Leader Technologies starting in 2000. Chandler stole Leader's social networking invention in 2002, then secretly fed it to IBM and IBM's Eclipse Foundation membership. The evidence is now overwhelming that Mark Zuckerberg and others used this stolen Leader source code to start Facebook and other social platforms. These social platforms were custom-made to give the NSA a cheaper, faster, easier platform for mass surveillance. (Mar. 16, 2016)—The now familiar fingerprints of the Washington Cartel are all over D.C. 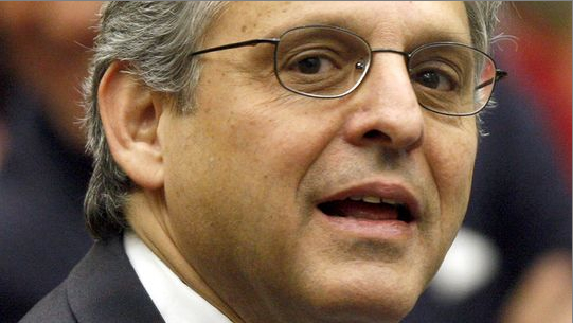 Circuit Judge Merrick B. Garland, Obama’s nominee to replace the late Justice Antonin Scalia. Update Mar. 21, 2016. Cartel on the move. 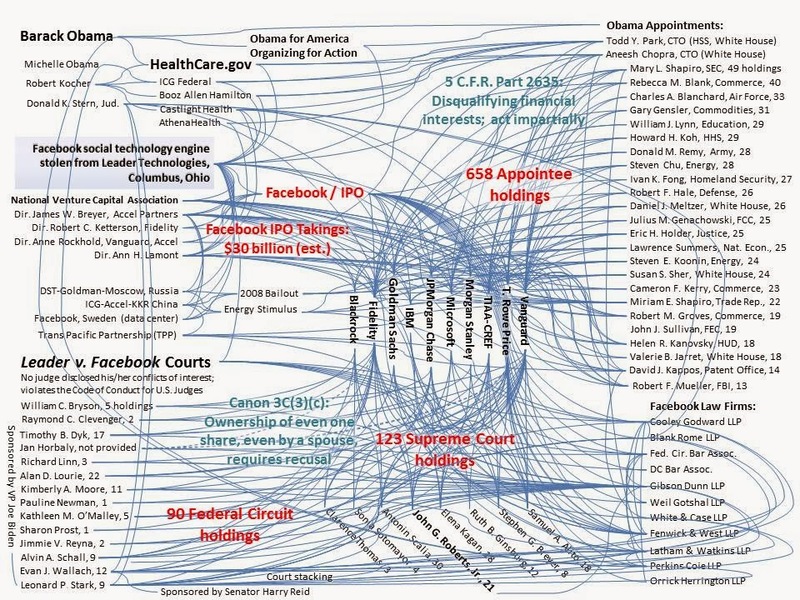 The Washington Cartel appears intent on overwhelming watchdogs with coordinated actions on multiple fronts: 1 Barack Obama nominated Cartel deep-cover consiglieri Judge Garland, 2 Facebook's larcenous Mark Zuckerberg met with China's notorious progaganda chief, 3 George Soros-backed online voting software in Utah is a harbinger of 2016 vote manipulation/fraud, 4 Barack Obama is foisting Google Internet services on Cuba, and 5 Trump events were disrupted by wise guys from George Soros-funded MoveOrg.org, then Trump was blamed for their violence. We'll start with Judge Garland's education. He's yet another Harvard Law School graduate. This fact alone should disqualify him since five (5) of the eight (8) current justices are also Harvard graduates. American jurisprudence is already horribly skewed to the Harvard Law worldview. This imbalance can only be corrected by diversifying the Supreme Court to include lawyers who represent a broad range of educational backgrounds. The country is currently choking on all things Harvard. The Harvard skew extends throughout the Obama Administration, especially in banking and technology by a cartel that is in the process of taking over the Internet with the recently Obama-endorsed "Internet of Things." 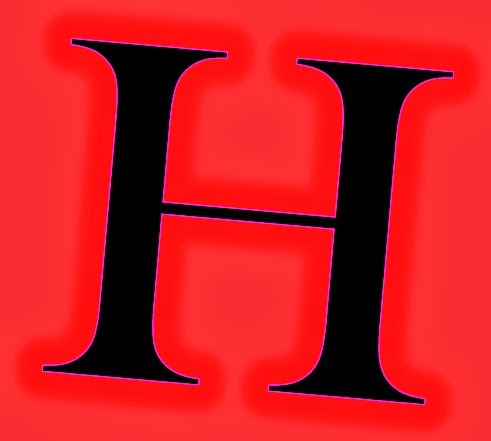 Click here for the Top 33 Harvard corruptors. 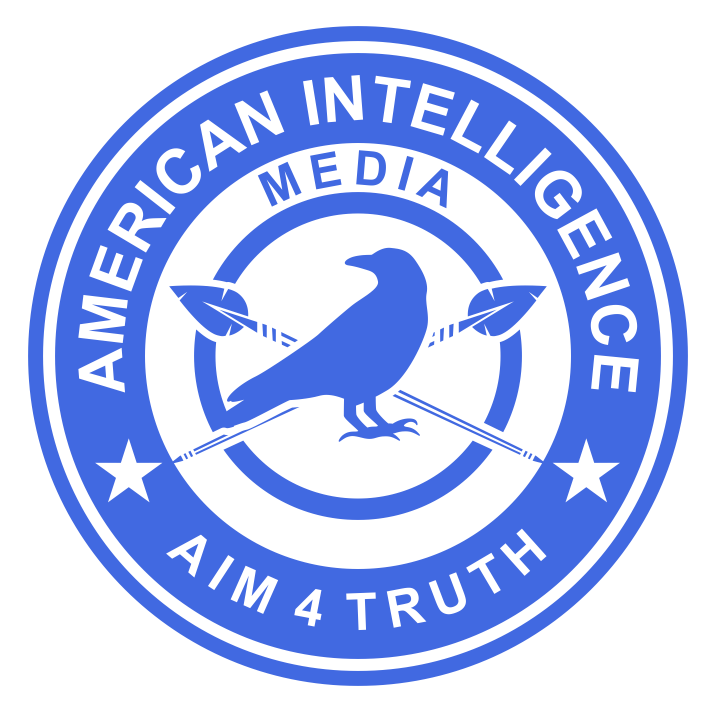 These people include the heads of the CIA In-Q-Tel venture capital firm, Facebook, Instagram, Obamacare, Google, White House technology, JPMorgan, Goldman Sachs, Justice Department, SEC, Commerce, State Department and others in Silicon Valley. Further, Garland is Jewish. The court does not now, and would not in the future, reflect a balance of belief systems consistent with the American population. We need to move the court toward balance, not further away from it. At his Nov. 30, 1995 Senate confirmation hearing, Judge Garland disclosed his net worth at $3,456,340. On Judge Garland's 2012 financial disclosure, he disclosed that his net worth has jumped up to $19,055,000 million. Note: Judicial financial disclosures are dubiously vague. Rather than give actual amounts, they show ranges. For example: P1: $1,000,000 to $5,000,000. Many sins can be and are hidden in such wild ranges. 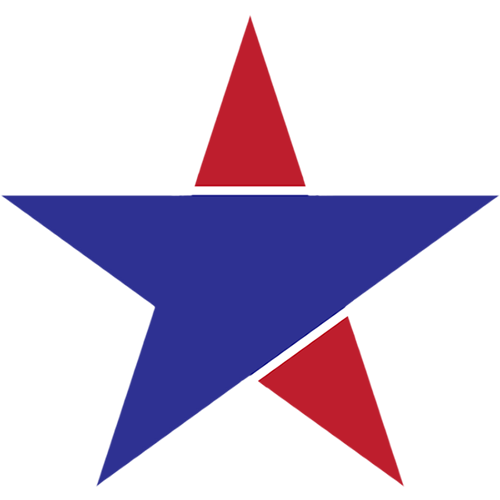 The Judiciary Club takes care of its own first, followed by political sponsors, large attorney firms, financiers, corporate glad-handers, and lastly, the American people. In short, while working as a full time federal judge for the last 17 years, Judge Garland's net worth increased magically an average of $823,000 per year. Judge Garland profits beat Bernie Madoff! Even Bernie Madoff did not promise what Judge Garland achieved in 17 years of portfolio profits. Judge Garland averaged 32% (or $823,000) per year in net gains from his investment portfolio. By comparison, even Bernie Madoff's scam promised investors only about 12% per year. Genius or inside trader? It's one or the other. It is now evident that the Washington Cartel rewards its secret society with investment tips to judges, bureaucrats and politicians. Those tips are the bribe du jour of the Washington "establishment" on both the left and right. With such insider relationships, who needs votes? Both Trump and Bernie appear to be threatening their status quo. Judge Garland's sponsors: (1) expanded NSA snooping illegally, (2) Colluded with IBM and (3) aided the theft of social networking . . . all in the name of "national security"
It took some digging, but AFI researches uncovered a copy of Judge Garland's Nov. 30, 1995 Senate confirmation hearing late this afternoon. Between 1977 and 1995, Merrick B. Garland changed jobs 15 times, or 1.2 years per job. Normally, professional resume readers consider such job hopping an indication that this person is not a good risk. Garland Employement Record (pages 43-44). Oddly, Garland changed jobs 15 times in his first 18 years of employment, then has stayed in the same job at the DC Circuit for the last 19 years. That job must suit him better. After more digging, researchers believe Garland was being groomed for his current job. Then, once he was in place at the DC Circuit, he has done the bidding of his taskmasters as CHIEF JUDGE of that court. This put him in one of the most powerful jobs in the Judiciary to carry out the agenda of his sponsors. Some experts, according to CBS News, believe his DC Circuit Court of Appeals is the second most powerful behind the Supreme Court. (Source: Scott Pelley, CBS Evening News, Mar. 16, 2016). On Sep. 6, 1995, Bill Clinton nominated Judge Garland for the DC Circuit Court of Appeals, on the recommendation of his and Hillary's legal adviser, Harvard Law professor James P. Chandler, III. Chandler was pushing through the Economic Espionage Act, the False Statements Accountability Act, and numerous Executive Orders on national security at the time. He was also working closely with the NSA, FBI and other national intelligence bodies on the precurors to the illegal NSA bulk data collection scheme that emerged ready-made following 9-11 (2001). 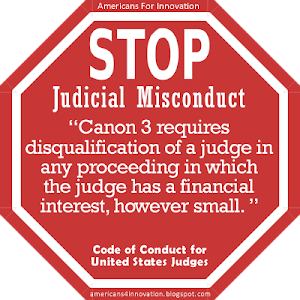 As part of the nominating process, judge candidates must testify before the Senate Judiciary Committee and submit a financial disclosure and detailed biography. The Senate compiles all this information. S. Hrg. 104-512. (Nov. 30, 1995). Judge Merrick B. Garland Senate Confirmation Hearing. Purdue. Surprisingly today, librarians at the Government Printing Office in Washington, D.C. were unable to locate Judge Garland's 1995 confirmation records. However, AFI researchers persisted and uncovered a copy in the archives at Purdue University. One would have thought such basic information about one of the most important Supreme Court nominees in living memory would be readily accessible to the public. It was not. The Senate also published the letters of recommendation submitted on behalf of the judicial candidate by decision influencers. These letters carry a lot of weight with these busy committee members. See Table 1 below. Mueller Biographies FBI Director (2001-2013), oversaw the dramatic expansion of NSA state spy powers supported by most if not all of the people in this table of 11 lawyers. Mueller became FBI director just a week before 9-11. Mueller's FBI director confirmation hearing was held on Jul. 30-31, 2001. S. Hrg. 107-33. (Jul. 30-31, 2001). MUELLER: "We must tell the truth and let the facts speak for themselves. The truth is what we expect in our investigations of others, and the truth is what we must demand of ourselves when we come under scrutiny." Senate Confirmation, Jul. 30, 2001, page 26. Webb Biographies Counsel to numerous spy state cartel principal actors, including Ernst & Young, General Electric, Microsoft, Verizon, Cisco, Pfizer and Deloitte & Touche. Many of his clients are prime movers in IBM's Eclipse Foundation software and embedded systems hardware behind IBM's "The Internet of Things." Barack Obama recently endorsed The Internet of Things in a recent Executive Order. IBM's Eclipse Foundation (the Eclipse IDE) has relied upon the social networking invention that it stole from Columbus, Ohio innovator Leader Technologies since its inception on Nov. 29, 2001. IBM illegally claimed copyrights on Leader's invention. Bennett Biographies Represented Bill Clinton in Monica Lewinsky scandal. Skadden Arps firm currently colluding with Delaware federal courts and JPMorgan to steal important Internet transactions patents by inventor Dr. Lakshmi Arunachalam, former director of network architecture for Sun Microsystems. Hillary Clinton's former chief of staff, Christina M. Chen, left a $2.2 million Skadden Arps job to work for Clinton. Skadden Arps has donated $522,000 to Clinton. Terwilliger Biographies Worked later with Eric H. Holder, Jr. as Assistant Attorney General, during the Bush Administration. He ran the Justice Department operations during the Bush, era. Therefore, he oversaw the implementation of the Patriot Act and the illegal bulk data gathering of the NSA. Whitley Biographies Served as Associate Attorney General during the Bush Administration. He then became the first general counsel of the Department of Homeland Security. These positions meant he was under the direction of James P. Chandler, who had been appointed to the National Infrastructure Assurance Council (NIAC) by the outgoing President Bill Clinton on Jan. 18, 2001, just two days before the Bush inauguration. Stephens Biographies The U.S. Senate held a confirmation hearing to appoint Stephens to be Assistant Attorney General on Sep. 20, 2001. S. Hrg. 107-603, just a week after 9-11. In Stephens' 2001 Senate hearing, he disclosed Merrick B. Garland as a personal reference in his Senate hearing. Stephens Hearing, p. 72. Therefore, this definitively ties Garland to Stephens' Raytheon interests. See below. Stephens' Senate 2000 Financial Disclosure is hand-written. Researchers only see hand-written financial disclosures among lawyers applying for jobs in the Executive Branch. (The information is not searchable electronically.) Stephens did not disappoint. Stephens' holdings carry the now unmistakable signature of the Washington Cartel (i.e., Vanguard, Fidelity, Janus, Harbor). 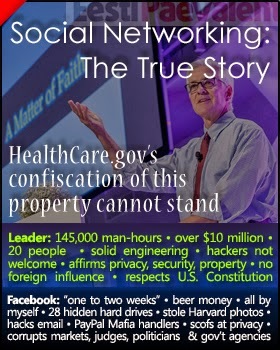 And yes, Stephens holds Fidelity Contrafund, just like Eric Holder, John Roberts, Evan Wallach and others in the Leader v. Facebook judicial corruption. In 2005, Stephens also disclosed Margaret G. Gill, Airtouch, Sr. VP for Legal, External Affairs, as a reference. Id., p. 72. In 1995, Ms. Gill also endorsed Judge Garland in his Senate confirmation hearing. This is clearly a tight clique of lawyers. Stephens later become senior vice president and general counsel of Raytheon Corp., a prime defense contractor, weapons manufacturer and vendor to the spy state. Raytheon Tomahawk Cruise Missiles are suspected by highly credible senior aircraft manufacturing officials to have been used on 9-11. These executives have investigated the gapping holes in the official story of 9-11 from both engineering and forensic perspectives. Some of these executives have overseen manufacturing on well known aircraft. For example, the Pentagon site had no airplane wing debris and the impact area on the building was too small for the alleged American Airlines Boeing 757. None of the crash sites had customary debris fields that one would normally find for commercial jets full of passengers and cargo (e.g., clothes, papers, luggage, children's toys). Also, the crash sites were bereft of titanium jet engines. Titanium in a jet engine does not burn or disintegrate in a crash. The inferno, as spectacular as it is, never gets hot enough to melt titanium. Jet fuel (kerosene) burns at 1220°F. Titanim melts at 3,034°F. You do the math. The myth debunkers (or astroturfers-propogandists) have steered clear of these facts. Before the Garland nomination, an aircraft industry expert had said he/she believds that the site evidence makes Raytheon Tomahawk Cruise Missles and secondary explosives the more likely cause of the 9-11 site damage signatures. We had not published this previously, but when Raytheon's chief counsel became associated with the Garland nomination and the illegal NSA surveillance programs, this research may be material, and is certainly worth further investigation. Wallach Biographies Also confirmed as Int'l Trade Court judge along with Garland; later nominated by Obama to the Federal Circuit; appointed to the Leader v. Facebook appeals panel despite no patent law experience. 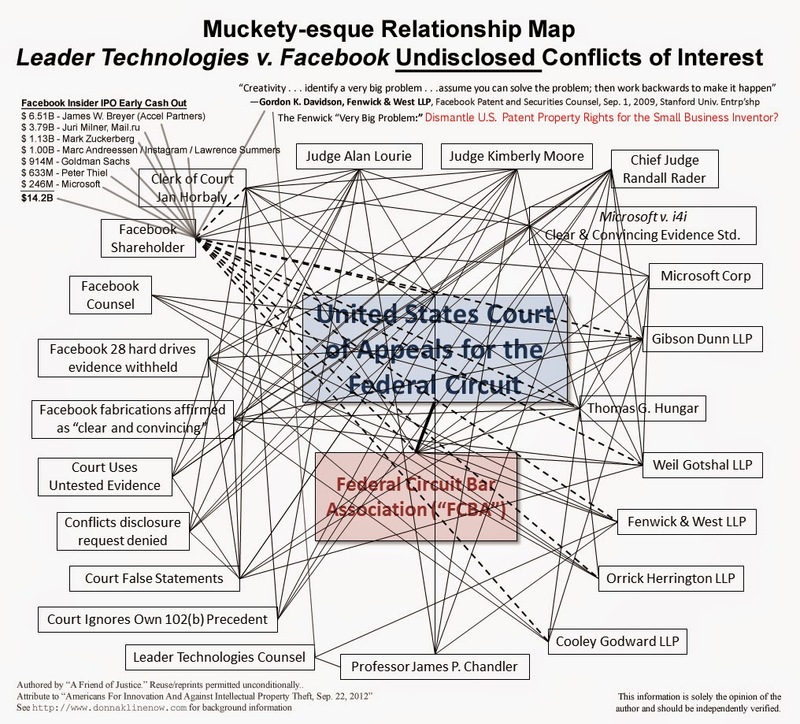 Ruled for Facebook in clear violation of well-settled court precedent; Holds substantial Facebook and NSA spy state vendor holdings for which he was and is silent about conflicts. Wallach was Senator Harry Reid's chief counsel. Holder Biographies Eric J. Holder, Jr. was appointed Deputy Attorney General by Bill Clinton in 1997. A post he held until 2001. He is a protégé of James P. Chandler, III, author of the Economic Espionage Act in 1996. Holder carried out Clinton's last minute pardon of Marc Rich. He served as Assistant Attorney General under George Bush. Thus, he was a close associate of Merrick B. Garland, Robert S. Mueller, Dan K. Webb, Robert S. Bennett, George J. Terwillider, III, Joe D. Whitley, Jay B. Stephens, Donald B. Ayer and Evan J. Wallach. Holder was appointed Attorney General by Barack Obama on Feb. 2, 2009. Holder approved and supervised the NSA's illegal bulk surveillance program on American citizens. Table 1: Merrick B. Garland judicial nomination references. Source: S. Hrg. 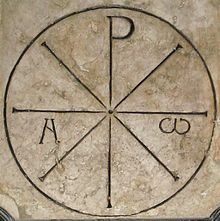 104-512, Pr. 2. (Nov. 30, 1995). Merrick B. Garland Senate Confirmation Hearing. Serial No. J-104-5. Judiciary Committee. U.S. Senate. 1. NSA Spy State Relationships: It appears that Judge Garland had a secret NSA Spy State agenda and set of relationships coming into his current job, and will certainly carry it into the Supreme Court, should he be confirmed. 2. Dubious Financial Gains: Judge Garland's ability to grow his financial portfolio by over $800,000 per year while a full time judge needs to be investigated for possible insider trading and/or collusion with Wall Street. 3. No More Judges From Harvard! Judge Garland's spy agenda and dubious finances aside, the country needs to diversify its legal perspectives on the Supreme Court to include a majority NOT from Harvard. 4. Raytheon Loyalties Judge Garland's sponsor, Jay B. Stephens, and therefore Raytheon, cruise missle manufacturer, ties him to the military-industrial complex. This taints Garland's objectivity. This association is disturbing and raises all sorts of other questions about Garland's association with the spy state agenda of the intelligence agencies and their private "Big Data" beneficiaries, including Silicon Valley and Wall Street. For these reasons alone, the Garland nomination should be abjured. S. Hrg. 104-512. (Nov. 30, 1995). Judge Merrick B. Garland Senate Confirmation Hearing. Serial No. J-104-5. Judiciary Committee. Purdue University. Garland, Merrick B. (May 13, 2012). Financial Disclosure, 2012. Garland, Merrick B. (Nov. 30, 1995). Employement Record (pages 43-44). Garland, Merrick B. (Nov. 30, 1995). Harvard University Record (pages 45). S. Hrg. 107-33. (Jul. 30-31, 2001). Robert S. Mueller Senate Confirmation Hearing to be Director of the FBI. Judiciary Committee. Serial No. J-107-33. GPO. Purdue University. Stephens, Jay B. (Sep. 20, 2001). Financial Disclosure, 2000. S. Hrg. 107-603. (Sep. 20, 2001). Jay B. Stephens Senate Confirmation Hearing. Serial No. J-107-39. Judiciary Committee. GPO. Top 33 Spy State Corruptors from Harvard University. Chandler, III, James P. Biography . Professor James P. Chandlerbiography, National Intellectual Property, p. 6; Chandler admission and notorious Washington, D.C. knowledge among Chandler associates in the National Intellectual Property Law Institute; See also S. Hrg. 104-499 (Feb. 28, 1998). Economic Espionage Act Hearing, testimony of FBI Director Louis Freeh acknowledging James P. Chandler. U.S. Senate. Terwilliger, III, George J. Biographies. Holder, Jr., Eric H. Biographies. Dewdney, A., Longspaugh, G. (Dec. 19, 2004). A Comparison of actual and expected wing debris resulting from the impact of a Boeing 757 on the Pentagon building (revised Dec. 19, 2004), ref. Raytheon Tomahawk Cruise Missile. Physcics 911.